CargoWise One is a single-platform software solution designed to increase your productivity and improve integration, automation, and communication with the supply chain. It integrates your business with your customers and partners, streamlining processes and increasing the efficiency, visibility, and profitability of your operations. CargoWise One meets the diverse needs of a diverse industry. 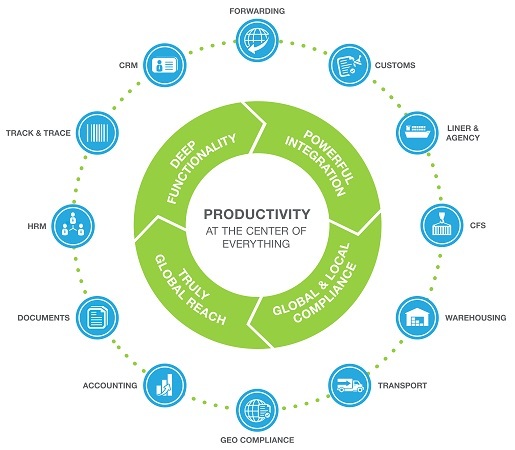 From growing supply chain providers to multinational corporations, its highly flexible and feature-rich system boosts productivity in everything you do. Whatever sector of the logistics industry your business serves, CargoWise One is the smart solution for success. With CargoWise One, you gain seamless supply chain operations and the competitive advantage.